The Story Of 'I'm Your Hoochie Coochie Man' Muddy Waters' chart-topping 1954 classic stands today as a keystone of rock 'n' roll. 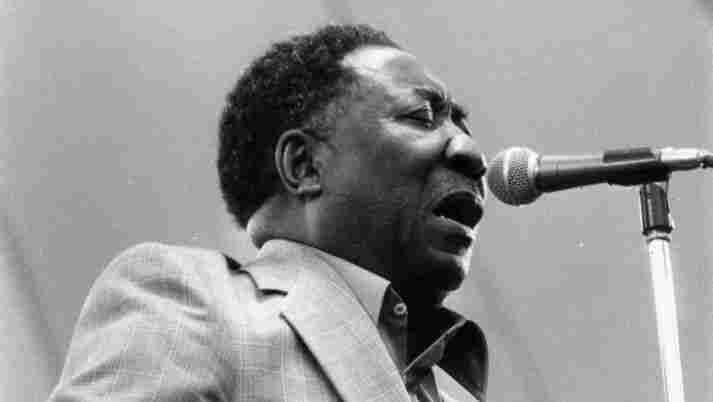 Seminal American blues singer and songwriter Muddy Waters. On April 4, 1915, McKinley Morganfield was born near Rolling Fork, Miss. He was raised by his grandmother; legend has it that, after watching him play in a creek, she nicknamed him Muddy Waters. In 1954, Waters recorded the song that would take his name to a wide audience: "I'm Your Hoochie Coochie Man." Muddy Waters scored his first R&B hit with "I Can't Be Satisfied" in 1948. It still had the sound of the country blues he played before leaving the Mississippi Delta for Chicago five years earlier. By the time he recorded "I'm Your Hoochie Coochie Man" in 1954, he'd assembled what he later called his best band: guitarist Jimmie Rodgers, pianist Otis Spann, Willie Dixon playing bass, Fred Below on drums and Little Walter blowing his harmonica like a saxophone. "Hoochie Coochie Man" was Waters' 10th hit and best-selling single ever. It clung near the top of the R&B charts for 13 weeks. But that didn't mean Muddy Waters made a lot of money, says Marshall Chess, whose father and uncle ran Chess Records, Waters' label. "There were not many radio stations that played black music," Chess says. "White radio was very racist at the time. There was not distribution everywhere in black neighborhoods of the big cities. There weren't many record shops. People bought their music at barber shops — sort of general store, package stores where they sold milk, beer, cigarettes and records." Still, it seems that the distinctive stop-time rhythm of "Hoochie Coochie Man" was not lost on another singer from Mississippi, by the name of Elvis Presley. Legend has it that when Muddy Waters heard Presley's 1958 recording of the Jerry Leiber-Mike Stoler song "Trouble," Waters said, "I better watch out. I believe whitey's picking up on the things that I'm doing." But by this time, the racial makeup of Waters' own audience had started to shift. That same year, he traveled to England with pianist Otis Spann and discovered that he was better known there than back home. But the English cast him as a folk singer, and he obligingly toned down his amplified Chicago blues to suit his hosts. Two years later, Waters was invited to play at the 1960 Newport Jazz Festival — and, much like his audience in England, this one was almost entirely white. Biographer Robert Gordon says that with rock 'n' roll's rise in the late 1950s, Waters sorely needed new blues fans. Newport presented him with a great opportunity. "He understands that he's facing — there's a crossover moment that this is a record-buying audience in front of him and they are not his record-buying audience, but they could be," Gordon says. The record was a commercial if not artistic success. Music critics hated it, but Gordon says that adaptations of "Hoochie Coochie Man" show how close this blues standard, composed at the threshold of the rock 'n' roll era, is to both genres. "I would think that 'Hoochie Coochie Man' is a keystone in the architecture of rock 'n' roll," Gordon says, "because it was a song that could be covered by rock bands and sound like a rock 'n' roll song and be done by blues bands and sound like a blues song, and basically they're all playing the same thing." Muddy Waters made at least two dozen recordings of his signature song during the nearly three decades he sang it. His final performances of "Hoochie Coochie Man" marked a return to the song's stripped-down origins. Until his death in 1983 at the age of 68, Waters remained the Hoochie Coochie Man.